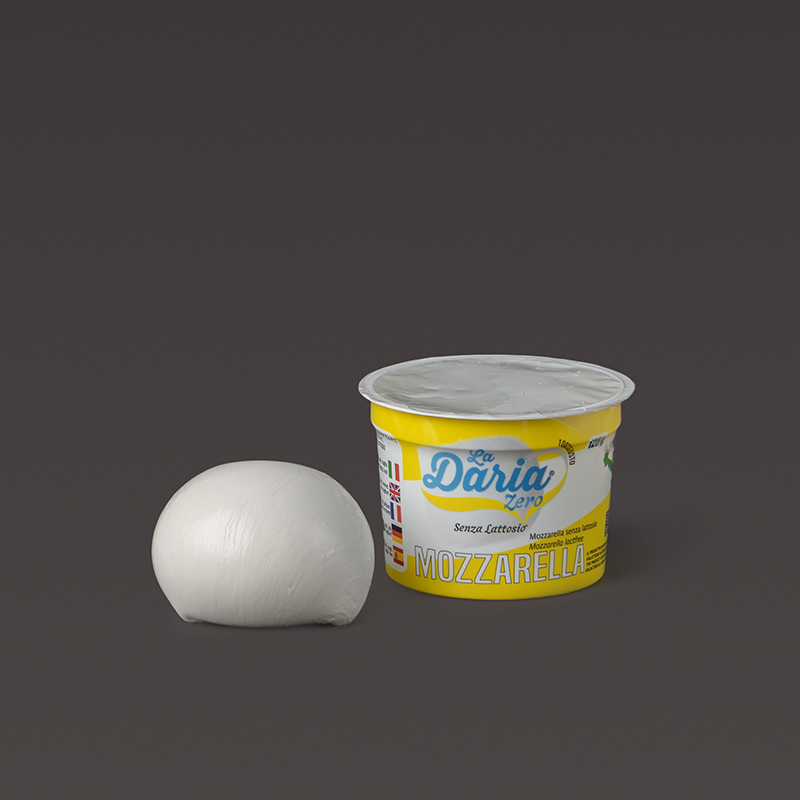 Mozzarella cheese, Zero Lactose La Daria is an innovative product that allows consumers who are experiencing problems with the dairy products to taste finally a high quality product with a very low lactose content (less than 0.1%). It is a fresh cheese at spun curd characterized by a smooth, uniform and shining white coloured area; the texture is soft and slightly elastic. The taste is sweet and delicate, the smell is fresh and pleasant.